The rule says, “You shall not patronize companies that don’t fully endorse the LGBT agenda. Especially during Pride Month.” Another rule says, “You shall condemn anyone who does that.” Two people just un-friended my daughter on Facebook for messing up on that one. You shall not question another person’s lifestyle; you shall tolerate everything except conservatism. You shall not question global warming. You shall not question gay marriage. You shall not question transgender rights. You shall not use the trash can when you can recycle. You shall not use more than your fair portion of the world’s carbon. You shall not fail to tangibly appreciate other cultures. You shall not tangibly express your appreciation for other cultures, for that would be cultural appropriation. You shall not be white. You shall not be male. You shall have not grown up in America. You shall not enjoy any privilege. I’ll credit them with this: Every rule here is someone’s earnest attempt to patch up a broken world. By now, though, it’s become patch upon patch. The first patch doesn’t hold, so they slap another one over it. First it was appreciating other ethnic groups. Then it was giving honor to all kinds of sexual identities and orientations. Then when that wasn’t enough it was “intersectionality.” See how it works? Patch upon patch upon patch. This broken world needs more than patches. It’ll never work. Here are three reasons. In other words: You shall not try to define anyone else’s morality. It’s not just that questioning transgender rights (for example) isn’t allowed. It’s that it’s wrong — shamefully wrong. It’s something no decent person could even think of doing. But wait, there’s a problem. These rules act like moral absolutes in a world that doesn’t even admit the existence of moral absolutes. That’s just the first problem. It gets worse. There’s a huge difference between guilt and shame. Guilt is regret, knowing there’s something wrong with what you’ve done. Shame is the sense of diminished worth, feeling that there’s something wrong with what you are. I am being asked to focus on a topic that many recognize — in my opinion correctly — that those who share my identity actually contribute to the disparities and disproportions common in our society. He wasn’t confessing what he’d done. He was confessing his identity. That’s shame in action. Guilt can lead to restitution and recovery of relationships. It can motivate people to change and improve. Shame paralyzes instead. Many of these rules are shame-based. They’ll never heal our broken world. Let’s state the obvious: Some of us just can’t follow the rules not to be white, male or American. We bear that shame. There’s no way out of it. But that’s not the only impossible patchwork rule. Take the one I listed above about cultural appreciation and appropriation. Maybe there’s a way to walk a thin line between them, not breaking either of them one way or the other. But I doubt anyone can do it for long. Even the ones that seem do-able on the outside aren’t always possible on the inside where it really counts. Tolerance? You can “tolerate” almost anyone on the outside. Inside, though, don’t you sometimes admit to yourself you really don’t like what they’re doing? A world where everyone gets along on the outside is a world of surface relationships. It fails to satisfy the inward soul. It’s fragile, too, because what’s on the inside is bound to come out sometimes. When it does, it’s not pretty. 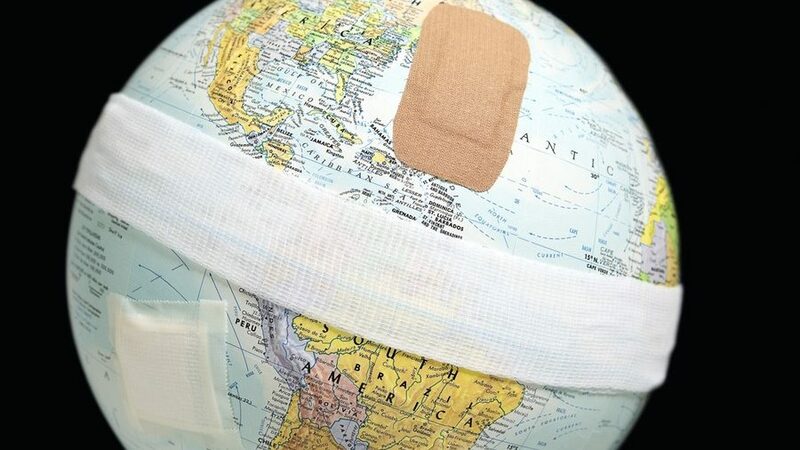 We can give credit to today’s rule-makers (whoever they may be) for trying to patch up a broken world — except for one huge thing: This world needs more than patches. I grieve for the poor secularist who thinks this is how to repair our broken world. The motive might be laudable, but the doing can only lead to failure and frustration. Because these rules won’t work. I fear we’re going to have to prove it through experience; I pray that when that happens, the makers of these rules, and the ones who follow them, will learn there must be a better way. Which of course there is, but I’ll save that for next time. Of course they won’t work. When the diagnosis is wrong, not only will the prescribed treatment not help, it will probably do harm. Christians have their own rules as well. You shall not question God. You shall not question the Bible. You shall not be gay. You shall not be transgender. I question any rules that act like moral absolutes whether they come from the LGBT community or the Christian community. Claiming a rule is a moral absolute is an effort to avoid actually having to defend the rule against being questioned. Shame is a powerful manipulation tool. The LGBT community uses it. Politicians use it. Religion uses it. Christianity uses it. If you can shame your critics into silence then you don’t have to defend your rules. Some of the rules listed are obviously impossible. Bible rules are also impossible. The purpose of getting people to think they need to live up to impossible rules is to create the feeling a debt is owed.